Catch-up contributions can help build your retirement nest egg. 1. When Are Catch-Up Contributions Allowed in an IRA? 2. Can a Husband's Earned Income Be Deposited in a Wife's Roth IRA? 3. Do I Have to Draw From My Retirement at 70.5 When I'm Not Retired? When retirement is appearing on your horizon, it's important to budget realistically for your post-working years. The AARP even suggests making two budgets: one for what you need to pay for bare essentials and one for what you'd like to do. However, even though you're in your 50s, you can still take extra steps so ensure you have the retirement you've dreamed of. 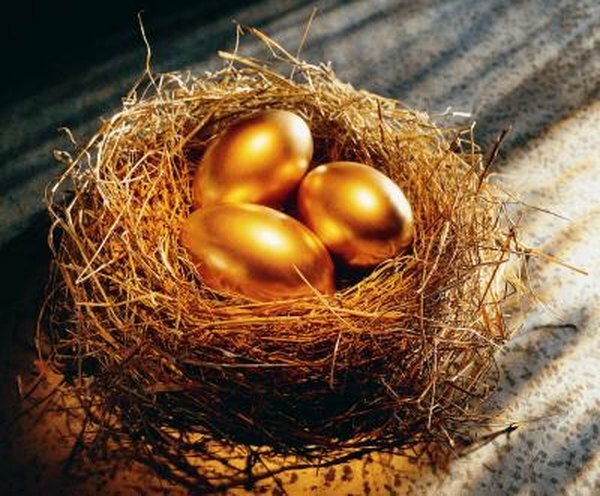 If you have the opportunity to contribute to both an employer-sponsored plan, such as a 401(k) or 403(b), and an individual retirement account, doing so can boost your retirement nest egg. If your modified adjusted gross income is too high, you won't be able to deduct your traditional IRA contribution. However, the money still grows tax-sheltered in the account. Plus, you may be able to convert it to a Roth IRA, even if your income is too high to contribute directly to a Roth. Starting in the year you turn 50, you can contribute extra to your qualified retirement plans, including IRAs, 401(k)s and 403(b)s. As of 2013, your IRA contribution limit goes up by $1,000 and your 401(k) and 403(b) contribution limit goes up by $5,500. That means that instead of stashing away $23,000 per year -- $5,500 in your IRA and $17,500 in your employer plan -- you can deposit a total of $29,500 in the two plans combined. If you're married and file a joint return, you can also stash extra money in your spouse's IRA, even if your spouse isn't working. Usually, you need to have compensation of your own to make a contribution, but the Internal Revenue Code makes an exception for couples filing jointly. If you have leftover compensation after subtracting out your IRA contribution for the year, your spouse can use that to contribute to her IRA. For example, assume you have $100,000 in compensation for 2013 and you put the maximum -- $6,500 because you've 50 or older -- in your own IRA. Since you have $94,500 extra, your spouse can make a full contribution, too. That essentially doubles your IRA contributions for the year. Pushing back retirement a few more years allows you to squirrel away extra money, helping you to reach your retirement goals. In addition, you can also delay taking Social Security, which increases the amount of your benefits. You get the highest benefits if you delay starting your Social Security checks until age 70. According to Market Watch, the breakeven point is age 78, which means that just eight years after you've started your benefits -- if you wait until you're 70 to start -- the larger monthly payments will have made up for the extra payments you receive from starting at 62.